SOUP, that is! This stuff is so good, I could drink it!!! If truth be told, I do, for lunch! Because of all our rain this season, the cucumber patch is prolific. I made an awesome, and I mean best I’ve ever eaten, cucumber salad over the weekend – I got the recipe from Yvonne at Stone Gable and you can download and print it here. Today, I’m drinking water with sliced cucumbers because it’s very good for hydration – and who doesn’t need to be hydrated in this heat! 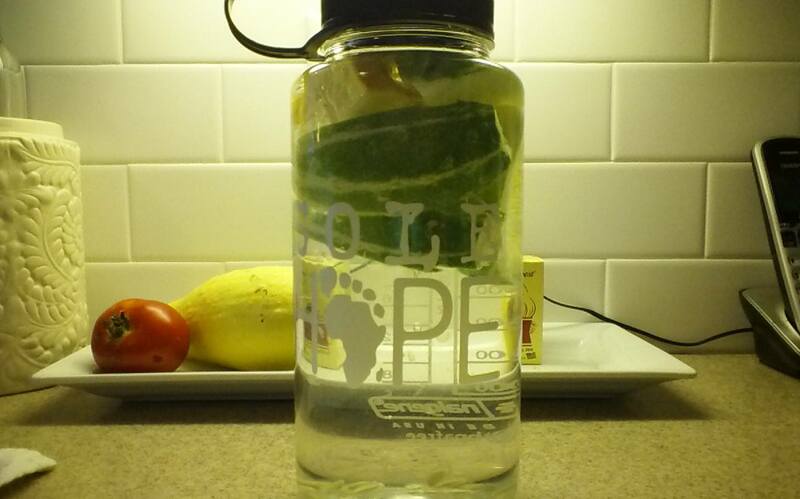 Cucumber water in my awesome Sole Hope water bottle. Thank you, Mandy! 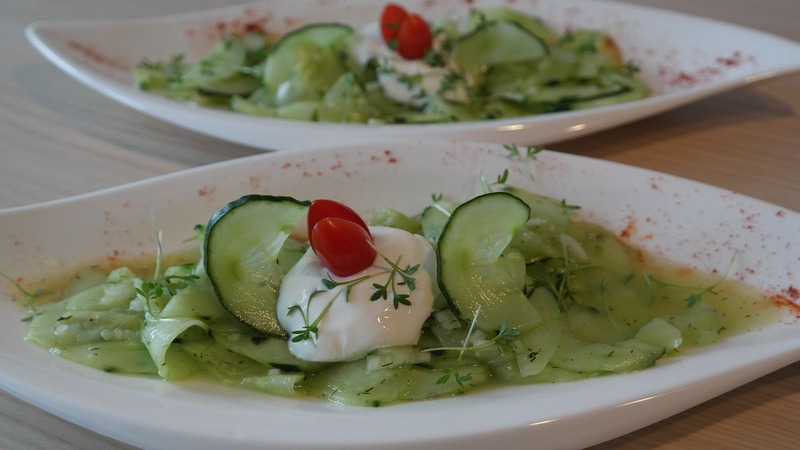 Cucumber Salad with cukes sliced on a mandolin – SO YUMMY! In blender, combine yogurt, cucumber, scallion, and dill. Pulse until pureed. Top each serving with 2 T of diced tomato or a few slices of radish. Drizzle with 1/2 tsp olive oil and then garnish with a sprig of dill. 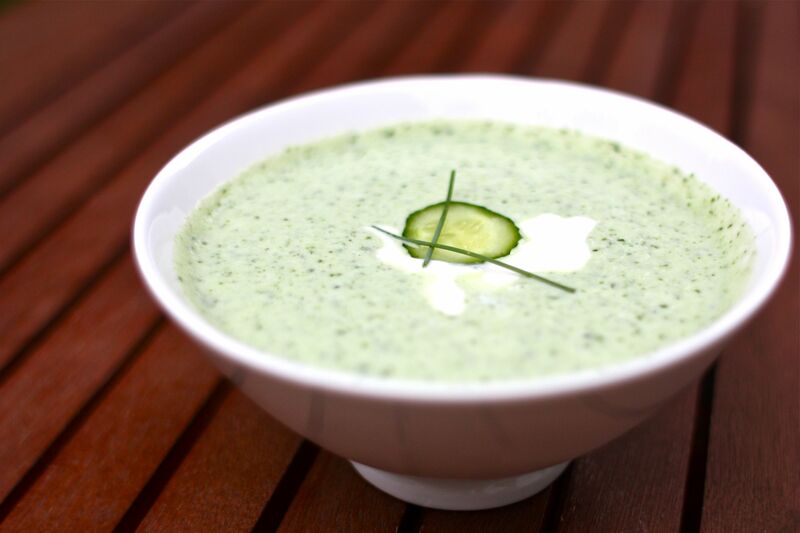 Cool Cucumber Soup. This stuff is so good, I could drink it!!! 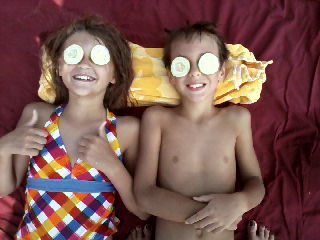 Simon & Lily – Summer of 2012! Lord convicted me a long time ago about #healthyeating #cleanfood!!! 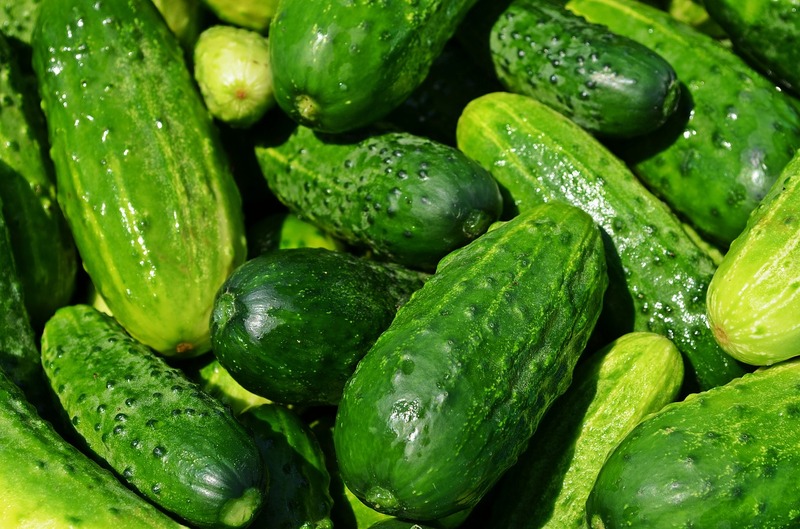 I love cucumbers…and even planted some in our church’s very first community garden this year. I will definitely have to try this soup recipe. Looks so yummy. And I have never tried anything like that before. You just might love it!